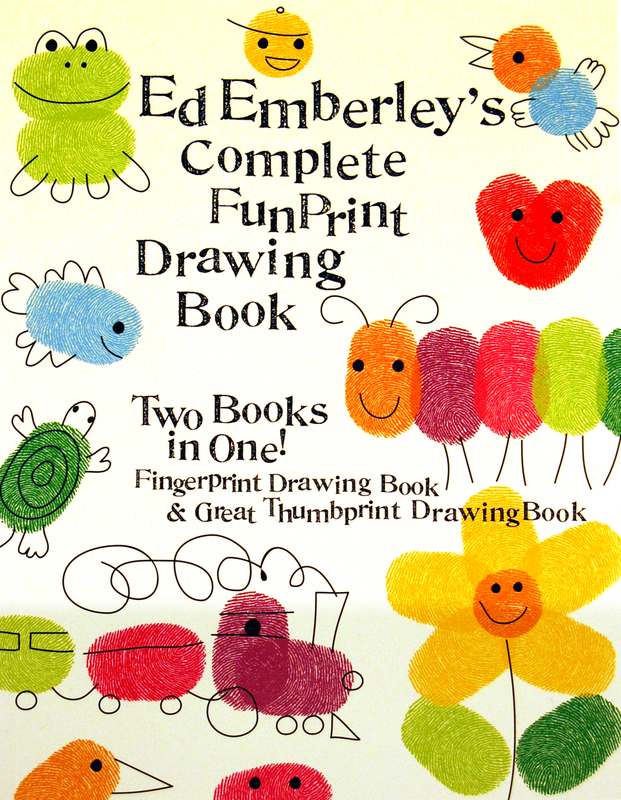 I recently came across Ed Emberley's Complete Funprint Drawing Book on Pinterest, and I just had to have it. I am a fool for all things "prints", and this book has it all. I will be sharing several cute projects inspired by this book throughout this year. Who would have thought that you could make so much from just a fingerprint? 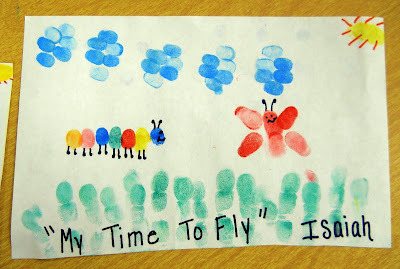 Our first offering is "My Time To Fly". I say "our" because I couldn't have pulled this idea off without the help of my amazing co-teacher Ms. Demetria. We knew we wanted to make a caterpillar and butterfly; but needed a cute little diddy to pull it all together. So we finally agreed upon "My Time To Fly". I won't explain all the prints, because I think it's pretty self-explanatory. The only thing that is not either a thumb or index print is the grass. Use the entire length of one finger for that. Don't forget that tomorrow I will be over at the The Crafting Chicks, sharing a new fun gift idea you won't want to miss. Be sure to check me out there!